Pick 'n Save now offers FREE Friday Downloads! 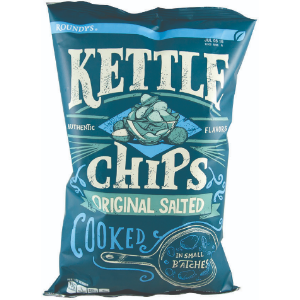 This week's FREE Friday Download is on a Roundy's Kettle Chips. LOAD A DIGITAL COUPON FOR A FREE PRODUCT DIRECTLY TO YOUR FRESH PERKS CARD! Every Friday, visit the coupons page. Download the digital coupon for the free offer to your Fresh Perks Card between 12am-11:59pm. Purchase your free item at any Pick 'n Save location within 2 weeks of downloading the offer and your coupon will automatically be applied at check-out when you use your Fresh Perks Card. Receive your item for FREE! COME BACK EVERY FRIDAY FOR A NEW FREE ITEM! Don't have an account or Fresh Perks Card? Click here to sign-up.